Shelter from the elements is almost always your first consideration in any survival situation. 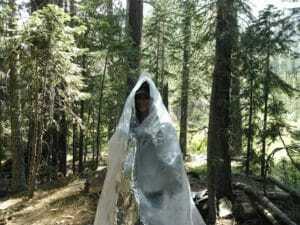 Survival shelter can come in the form of a poncho, your backpack, yes even a plastic garbage bag, if that’s all you have. Or you can use natural materials found in the surrounding landscape. Tree’s, rock overhangs, a hollow log, minus the Bear, of course. Understanding and applying the science behind successful emergency shelter building is paramount to your survival in the outdoors. Learning to build a functioning emergency shelter is invaluable to your training in wilderness survival. As you spend more time outdoors survival skills become more and more important. Be ready and make your adventure an unforgettable and exciting experience, not a tragedy. Emphasis is on survival shelter set up with a special focus on Pacific Northwest weather. 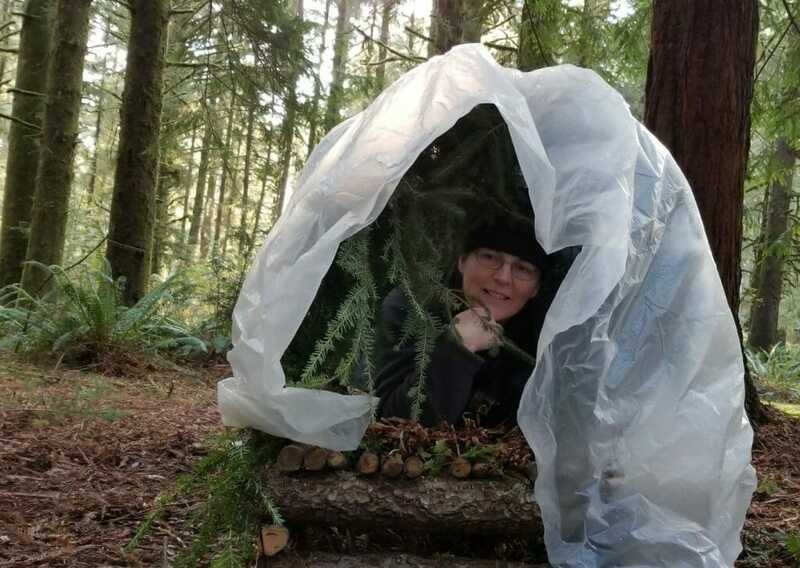 Using hands-on application of natural insulation materials will also cover shelter basics using tarps, plastic, emergency foil blankets, and tents during lecture and field application. Contact Mark for individual or group training. READ Registration Policies before purchasing. learn how to build shelters with a variety of materials including tarps and plastic sheets. It’s important for you to actually learn how to build these shelters in real-time. Learning to build and make use of survival and emergency shelters in the outdoors is an enlightening and fun experience. Not unlike making forts in the woods as children; but with the added elements of shelter science and hands-on experience. And of course our expert training to bring it all together for you. Driving directions, gear list specific to your course is provided with registration packet.